A sophisticated offering to celebrate any special occasion, our calla lily bouquet impresses with creamy white petals that gradually unfurl to display their deep purple centers. Your recipient won’t miss a moment of their majestic beauty. 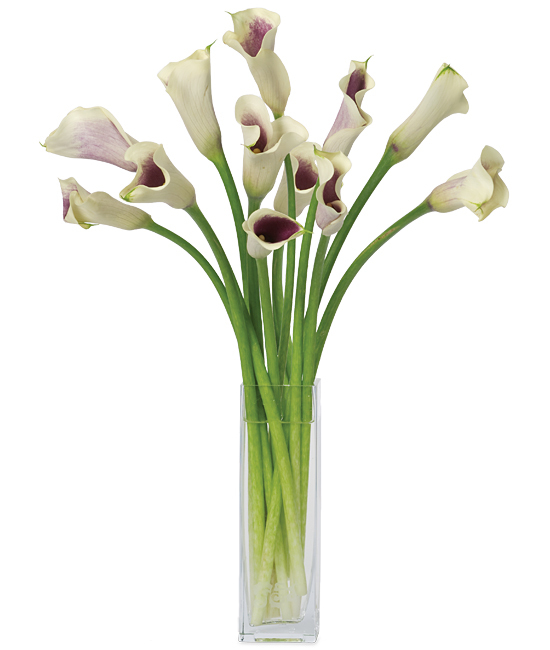 Dressed to the nines in our sleek, thin signature glass vase.